Hotties hit the Coast for 2 shows! 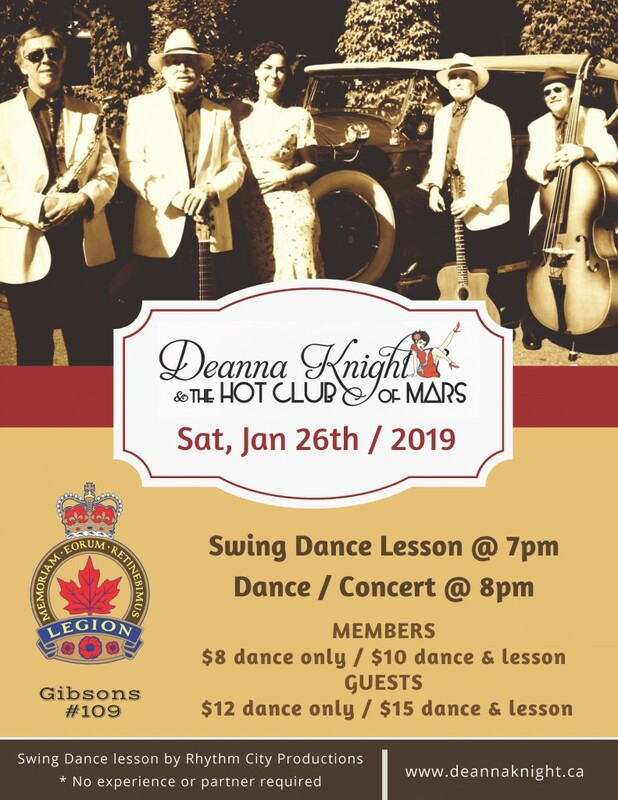 I’m so thrilled to have my dear Hotties join me once again for a dance at the Gibsons Legion #109. This time we will spice things up with the talented Lucy Faulkner kicking off the night with a swing dance lesson at 7pm. Lucy has years of experience and is new to our community. Come learn some moves, brush up on old moves or skip the lesson and the dancing all together …come for the music. Know that the lesson is for everyone and you need not have experience or a partner to enjoy. Hope to see you there! We hope to turn this into a regular thaaaang…yippee!! If the Legion does not work out for you then you are in luck! We will hit the local 101 Brewhouse for a little afternoon concert. Come tap your toes alongside a little bevie and appie perhaps? We plan to hit the stage around 2:30 for a couple sets. This show is by donation so please bring real money :) Be mindful that there is no room for dancing at this venue. The Legion will be a fabulous room to shake it up! Hope to see ya! Previous post: GD~BC hits the Coast for 3 Shows! ©2019 Deanna Knight. Design by Janine Stoll Media.